Garren was fantastic! His instruction was clear & concise! He eased my nerves and made me feel comfortable and confident in my sailing! Even when caught in a thunderstorm everything was handled confidently and calmly! You have an amazing instructor in Garren! Would take another course with him again! We had an amazing 6 days on our catamaran live aboard course! Would highly recommend this course! We learned so much and had fun at the same time. Simply amazing. Mark was an amazing instructor. He taught us many new skills, challenged us to try them and was very patient while we practiced. 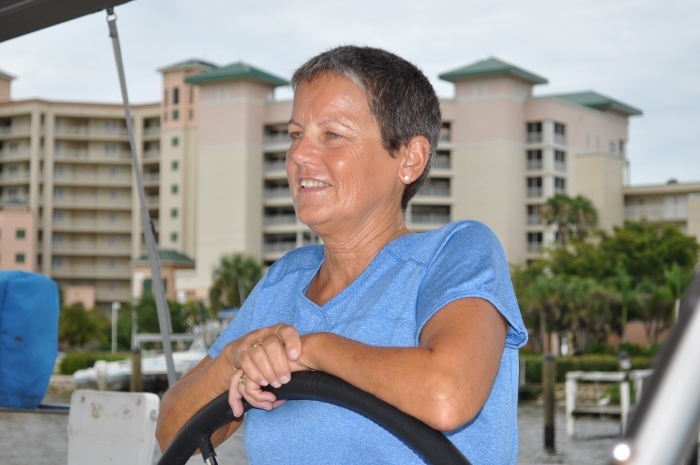 My goals to increase my confidence when sailing in heavy winds, perform crew overboard, anchoring and docking were met. As an added bonus, I made new friends. 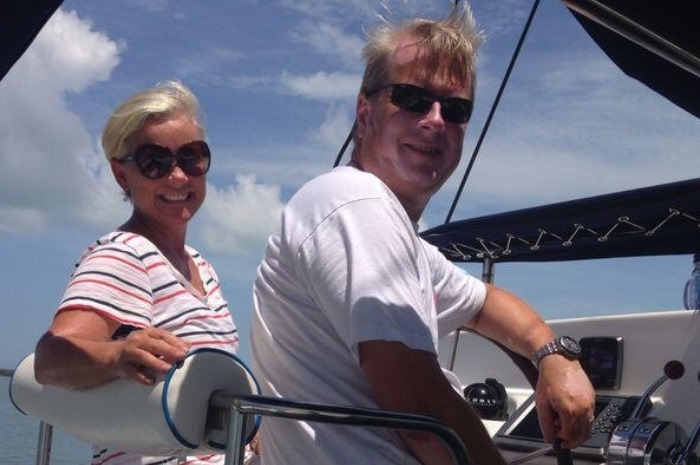 Barb and I have just returned from a bareboat charter on a Moorings 4600 in the BVI. 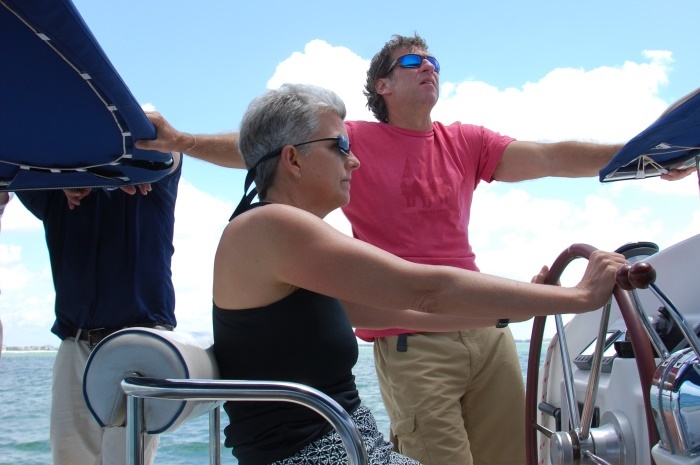 I was the captain, Barb was co-captain. We totally impressed our husbands when we performed a “heave-to” so we could reef the main. There was some great sailing and lots of laughter. I appreciate the confidence Mark gave me to be in command of such a large cat. 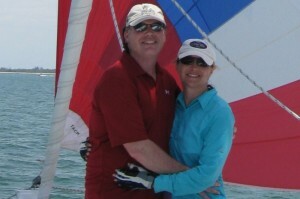 Please enjoy the link to our blog that I did during our sailing lessons. 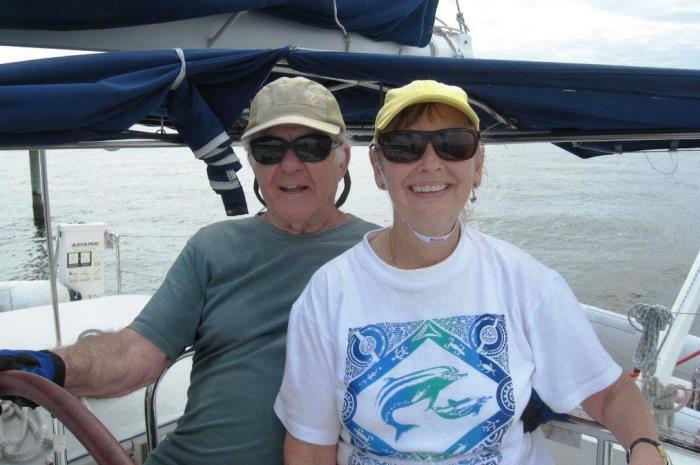 As for choosing the Colgate Offshore Sailing School, Beth’s sales job takes her into different doctor’s offices and one of the docs is an avid sailor. He highly recommended the Colgate school and said if we were going to do it then we should do it right! 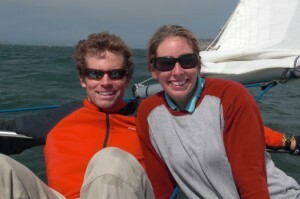 Previously, Beth and I passed the ASA 101 and 103 (ASA is a sailing institution akin to US Sailing) courses from a freelance guy and, while we saved a bunch of money by going that route, we really didn’t feel as though we received the thorough and professional instruction that we needed. The ocean and Mother Nature are to be respected, if not feared, so we took our certifications very seriously and sought the best and most thorough (and professional) class we could take. Sure Colgate’s course costs a little more money but it was more than worth it in the end. The instruction was outstanding and the class was top notch! Now we, too, would highly recommend and encourage anyone wanting to follow in our footsteps to use the Offshore Sailing School for your classes. In closing, the Offshore Sailing School was a tremendous experience that provided a whole new world of opportunities for us to explore. To me, this was an investment in the future and now our future is unlimited! We can now travel anywhere in the world and charter a boat to explore new lands. What a fantastic learning experience. We had rain, and unfriendly weather. We had a great time and got to learn more than if we would have had typical weather. Brian was great, using the weather to get us in situations and learning to get out. Again, we could not have had a better experience. We really, really appreciated our course work with Brian. We liked your program. Brian is exceptional, patient and so professional. We had a wonderful time learning with Offshore. It was outstanding – excellent! I feel that the instructors really set Offshore apart from other sailing organizations. Kevin was wonderful; he was an educator, captain and excellent host!!! This was my wife (Erin) and my third course with Offshore and they just keep getting better each time. I can’t wait until our next lesson.